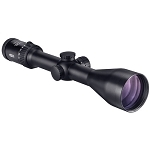 The MeoStar 1.5-6x42 4C/BDC-2/3 Riflescope from Meopta is a versatile durable hunting riflescope designed for mid-range targeting in the field and at the range. The 42mm multi-coated objective lens transmits a clear bright image with high contrast, even in low light. 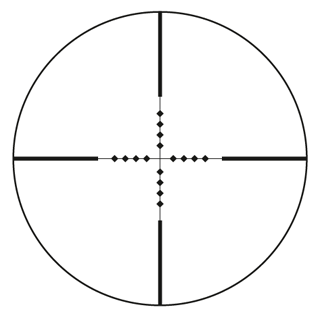 An illuminated etched glass reticle located in the rear focal plane provides the operator with enhanced range estimation and trajectory compensation at the high end of the magnification range. 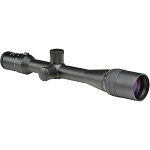 MeoStar series riflescopes use a proprietary Erector System to maintain mechanical resistance within the windage/elevation turrets, ensuring accuracy of large caliber rifles from one shot to the next. Meopta's Advanced Illumination Technology powers a 2 MOA dot at seven levels of intensity, with an off position between each brightness level. This feature allows you to precisely adjust to ambient light as conditions change, while eliminating the possibility of reticle flare in very low light conditions. 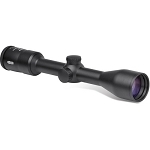 The wide field of view makes the MeoStar 1.5-6x42 ideal for maximizing situational awareness and employing a both eyes open targeting technique. The fast focus eyepiece, illuminated reticle, impact resistant weather-sealed housing, and crisp edge-to-edge image quality equip this riflescope with the features needed to perform in a range of climates and shooting conditions. Lenses are fully multi-coated with MeoBrite 5501 ion assisted lens coatings to deliver maximum brightness and clarity. MeoShield coating protects exposed lens surfaces and exceeds military specification for abrasion resistance. 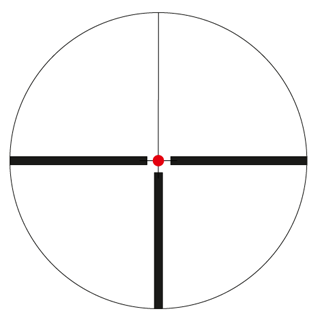 1/4" MOA (at 100 yd) posi-click finger adjustable windage and elevation turrets deliver precise adjustments with superior repeatability and tracking capability. 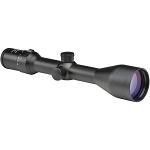 Fast and accurate focusing throughout the entire range of magnification and precise reticle placement on your target. A precision tuned ocular system is optimized to provide a wide field of view for rapid target acquisition. 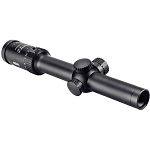 Rugged design provides extra hold for maintaining dead-on zero and delivering precise magnification adjustment with no change in point of impact through entire range. Precisely adjust to ambient lighting conditions by choosing from seven levels of intensity adjustment with an off position between each level. One piece, ELOX anodized aircraft aluminum 30mm main tube is weather sealed, nitrogen purged, shock resistant, scratch resistant, and non-reflective.